“Otoko” means “a strong man” in Japanese. 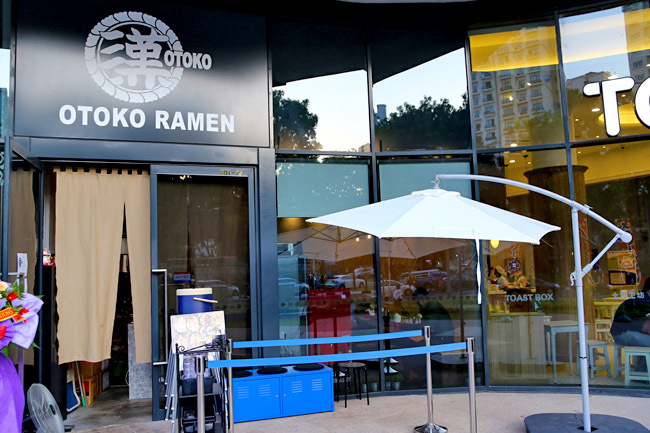 So an Otoko Ramen is… If the name is of any indication, you may expect hearty ramen in larger than usual portions. 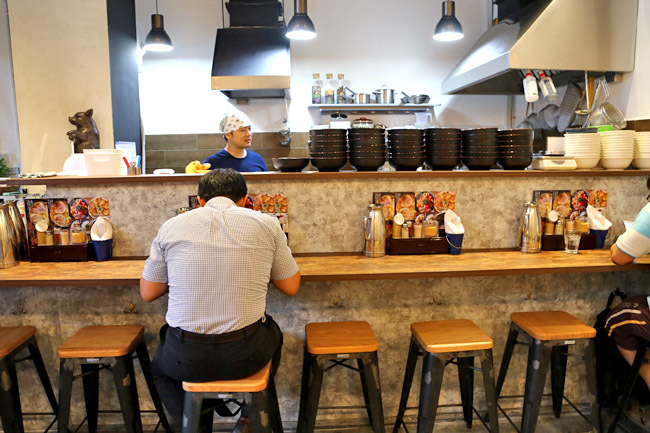 The small 20-seater ramen shop is newly opened at Park Hotel Alexandra (which has Alibabar as its neighbour), catering to a sizable Japanese expat community staying around the area. 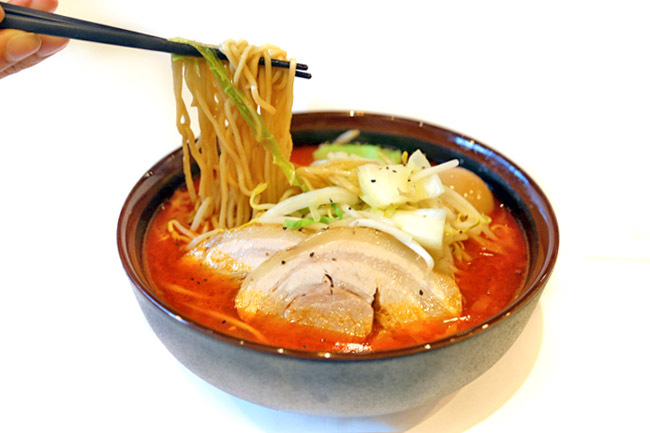 Yah hor, if I am not wrong, there aren’t any other ramen shops in Alexandra? 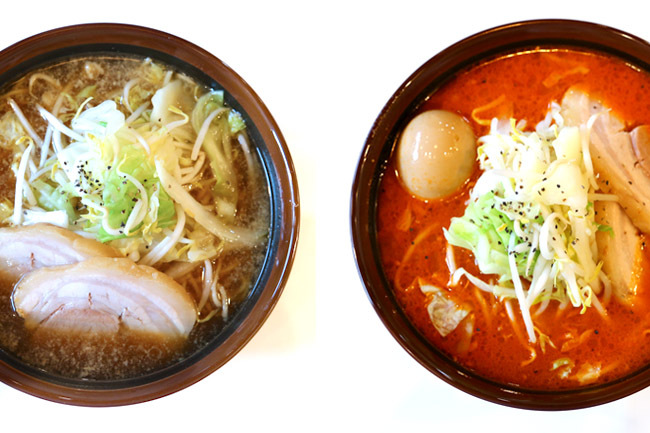 Three types of ramen soup bases are available – Shoyu ($12.90), Miso ($12.90), and the spicy Karamiso ($13.90). 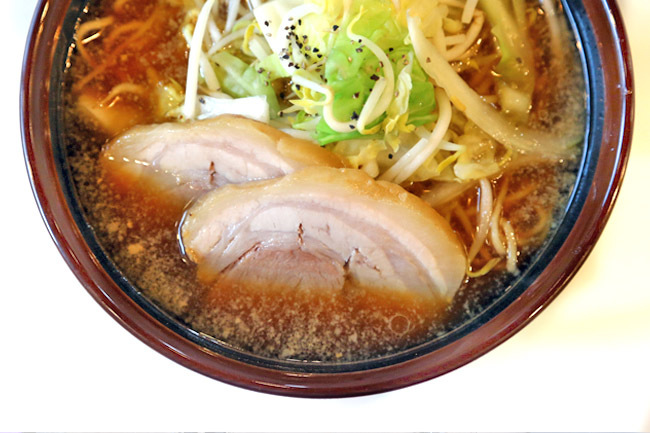 For additional toppings of pork belly, you can order the Chashu Ramen ($16.90/$17.90). Prices are for medium sized bowls, while the larger ones are at $2 extra. Looking at the size of the bowl alone (and I couldn’t even finish my medium), smaller eaters can refrain from the L-size. 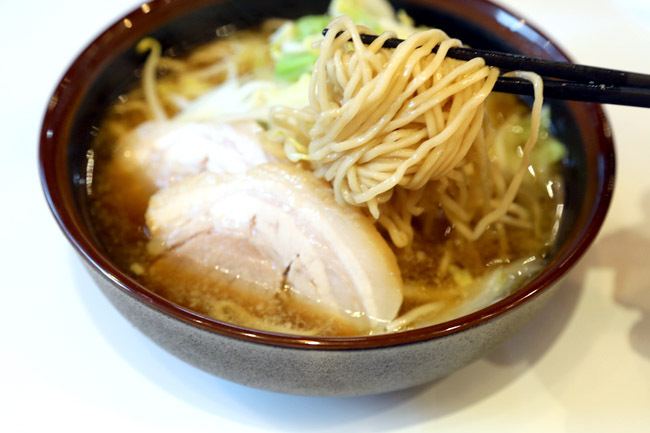 What I liked about their ramen – generous servings of fresh cabbage for that crunch, which balances that richness after a few sips of the oily soup. The tonkotsu based shoyu soup could be more robust in flavors though, and we preferred the karamiso based broth which had a more agreeable layered taste. I wonder if they got the cue from the shop’s name to go full on. thick and fatty – satisfying for meat lovers, but heavy otherwise. Otoko Ramen shoyu plus tonkotsu soup base with toppings of cabbage reminds me of JIRO Ramen in Japan, which receives quite a following. My understanding is Singaporeans prefer the creamy Tonkotsu soup base with thin pork slices, so Otoko is one style which provides that alternative. * Daniel’s Food Diary pays for meals reviewed unless otherwise stated.